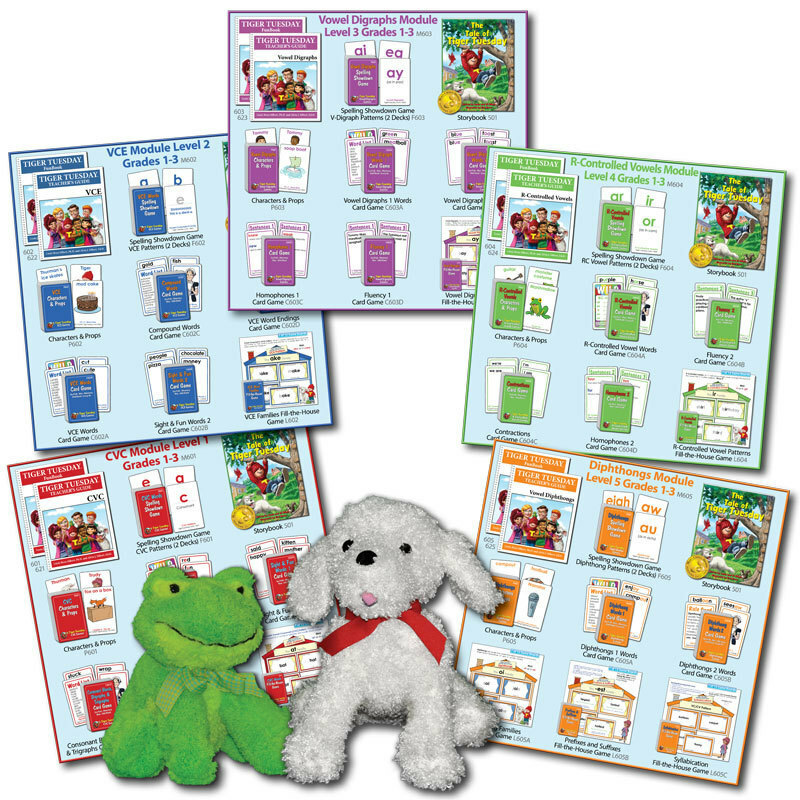 All 5 Reading Modules (with FunBooks): CVC Module Level 1, VCE Module Level 2, Vowel Digraphs Module Level 3, R-Controlled Vowels Module Level 4, Diphthongs Module Level 5. You also receive Thurman the dog and Marshmallow the frog. Consonant-Vowel-Consonant Module Introduces the Consonant-Vowel-Consonant pattern where kids begin to decode words and syllables. As with all modules, these lessons are fun for kids because games and plays are part of the lessons. Vowel-Consonant-E Module Reading comprehension and self-confidence continue to improve as kids begin decoding words using “Vowel-Consonant-E” pattern. More games and fun activities! Vowel Digraphs Module Students learn more about words with vowel digraphs ai, ay, ea, ee, ie, oa, oe, ow and ue. This module helps reduce frustration and anxiety associated with reading, while enhancing self-esteem. R-Controlled Vowels Module Introduces the R-Controlled Vowel patterns (ar, er, ir, or and ur) and reinforces skill in decoding and fluently reading R-Controlled Vowel words and syllables. Diphthongs Module Complete fluency, self-esteem, comprehension, vocabulary and handwriting all come together in the 7th module with words that contain two vowels that produce a single new sound. All of these modules include a Teacher’s Guide that includes answers to Student FunBooks.